When I first started skiing back in the 1970s I bought my ski gear from C&A (remember them? ); it was cheap and good quality. When I first started editing Daily Mail Ski magazine in 1992 I had (reluctantly) to take more of an interest in ‘ski fashion’ and the marketing hype and jargon that goes with it. There’s a lot of money to be made from selling clothing – much more than there is from selling skis. I guess that’s not surprising when you look at the sky high prices some of the top brands sell jackets and pants for. So I was delighted to be offered the chance to try some well-priced gear from a new brand called Zakti Active which is selling mens’ ski clothing for the first time this winter. The photo above was taken when I was skiing in up-market Lech-Zürs in late January. Lots of Lech guests wear top-of-the-market brands such as Bogner and Kjus, which have ski jackets selling for over £1,000 and pants for over £500. My Zakti Gradient jacket is priced at just £185 (and is currently available at the reduced price of £130) and my Zakti Off-piste ski pants cost £100 (currently available for just £70). Those are truly bargain prices when compared with most of the ski gear you’d find at Snow+Rock or other specialist ski shops, let alone Bogner and Kjus. So how did Zakti perform? I’ve tried the jacket and pants for ten days so far this season in varied weather conditions from very cold to warm and wet with rain on the lower slopes. And they kept me warm and dry, which is what ski clothing is supposed to do. I’ve been skiing in recent years in brands such as Peak Performance, Columbia and The North Face and the Zaktis were just as good, if not better. And I got admiring comments on the style and looks from some of the people I was skiing with. My verdict so far is that they are a real bargain. The secret, according to the sales bumf, is ISODRY waterproof and breathable fabric (cheaper than GORETEX presumably, but seems to work as well) and taped seams. They also have built-in RECCO avalanche reflectors to help rescuers find you if you are unlucky enough to be buried under an avalanche. 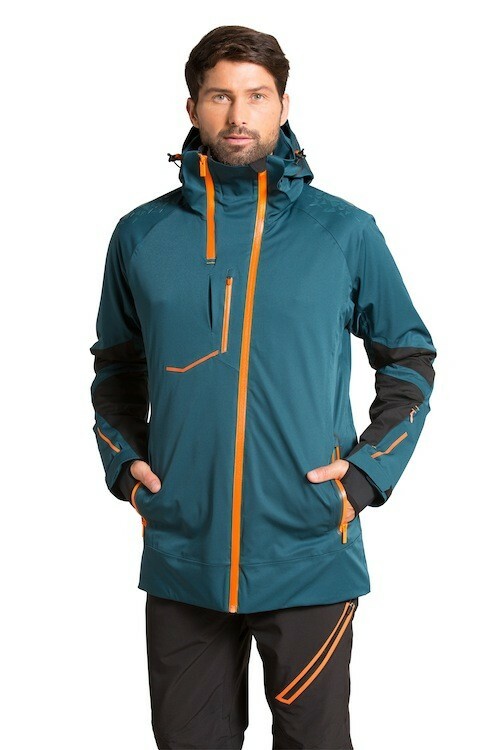 They have ample pockets (very important to me) in both jacket and pants, including a lift pass pocket which some jackets still lack, and a detachable hood. And the jacket zip is off-centre at the top – a feature I had not come across before but liked. Most importantly, of course, my wife loves the muted green colour of the jacket – so it’s what I’ll be wearing on our week’s holiday in Zermatt in March. 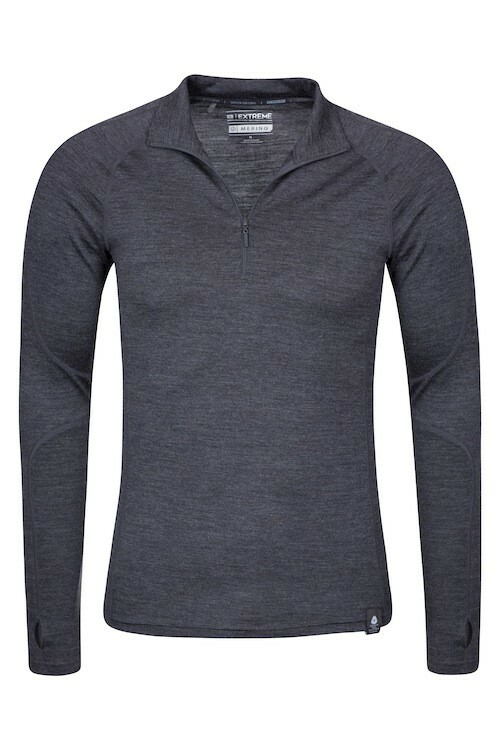 I also tried an Asgard Mens’ Marino base layer zip-neck top, which is part of the Mountain Warehouse Extreme Collection. The full price for this is £79.99 but it is currently reduced to £39.99. Marino wool is a great fabric to have next you your skin because it is soft, comfortable, warm and breathable. It also has an antibacterial finish to keep it odour free. I tried it in conditions varying from Arctic lows of –30ºC in Finnish Lapland to rain on the lower slopes of an Austrian resort and it served me well. Zakti Active is a sister brand of Mountain Warehouse . You can buy Zakti clothing on both websites and at Zakti stores in Islington and Chiswick in London, Summertown in Oxford and Reigate in Surrey. 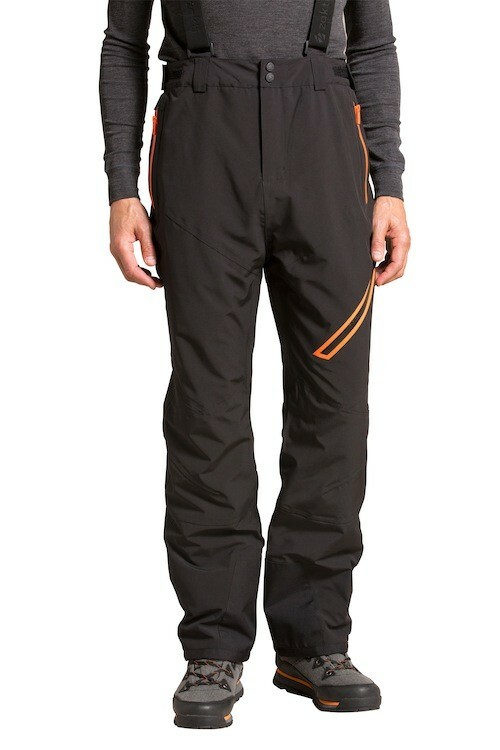 The Asgard Marino base layer is on sale at Mountain Warehouse. Mountain Warehouse also stocks lots of other winter gear and my wife and I have been happy with, for example, snow boots, a jacket and collapsible poles bought there in the last couple of years.